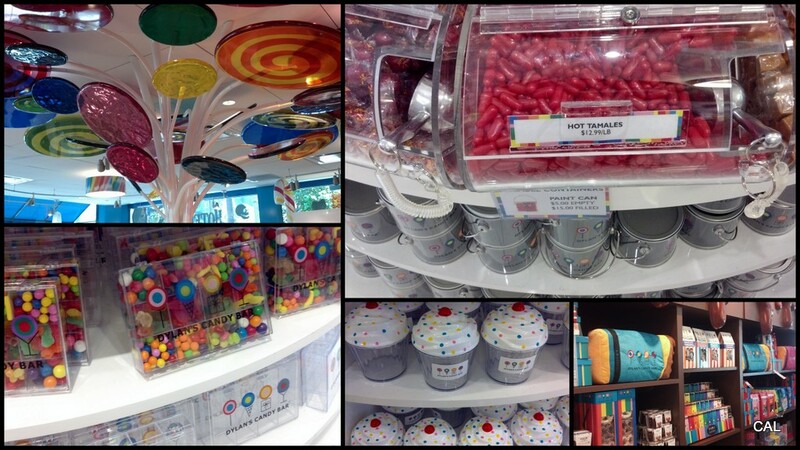 Boy, was I like a kid in a candy store a few days ago. Literally! 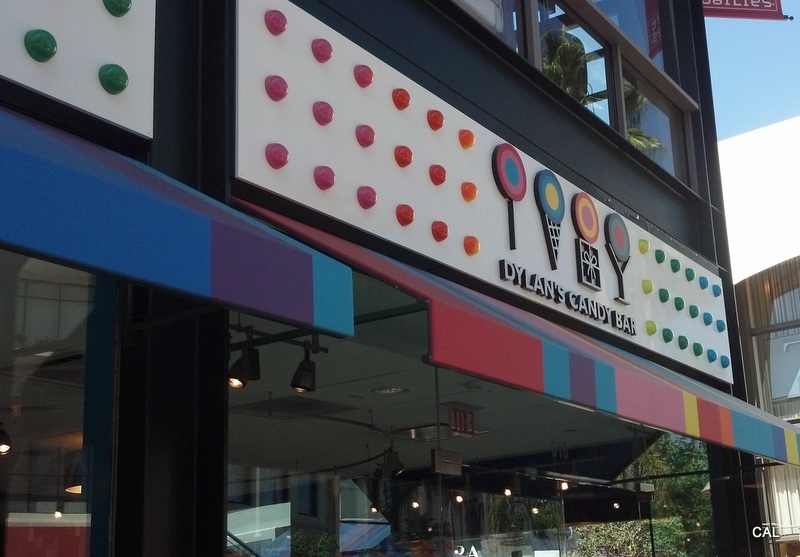 Welcome to the newest addition to The Farmer’s Market at The Grove, Dylan’s Candy Bar. 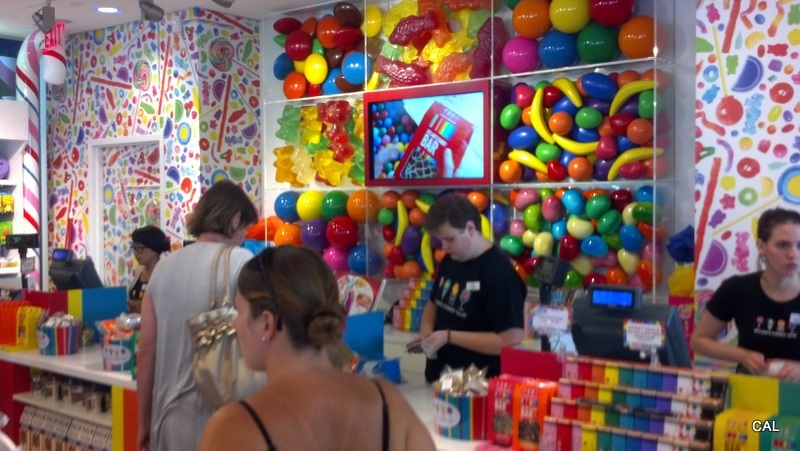 I’ve never been to the popular New York flagship location so I didn’t know what to expect other than wall-to-wall candy. I was not disappointed. The well-designed, brightly lit, and colorful interior couldn’t have been more perfect. You’re instantly in sugar land from the moment you walk in the door. The smell of fructose is overwhelmingly alive in the air. 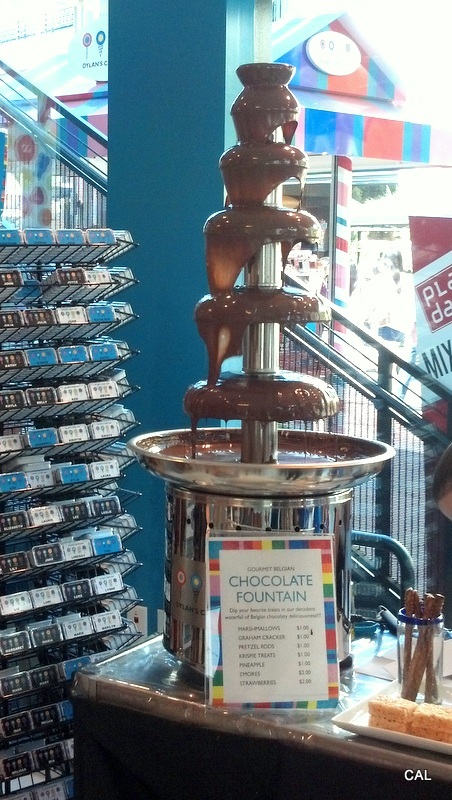 The chocolate fountain is a sight to see. 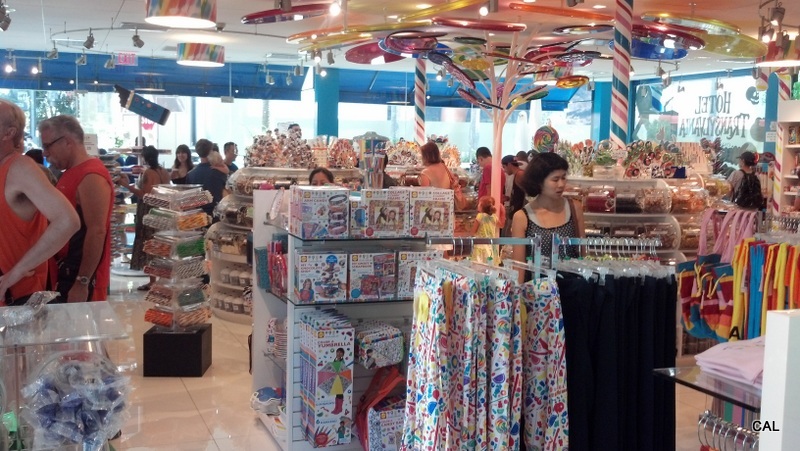 Endless bulk candy and chocolate choices are all around for the taking spending. 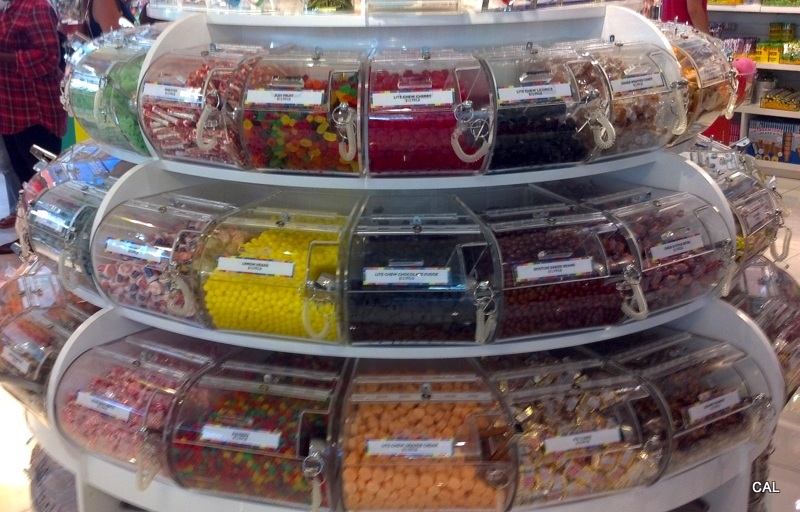 At $12.99 a pound for bulk selections, the price is steep (especially since candy is naturally pretty heavy). While the different packaging options were cute and a nice souvenir, they were also on the pricey side. 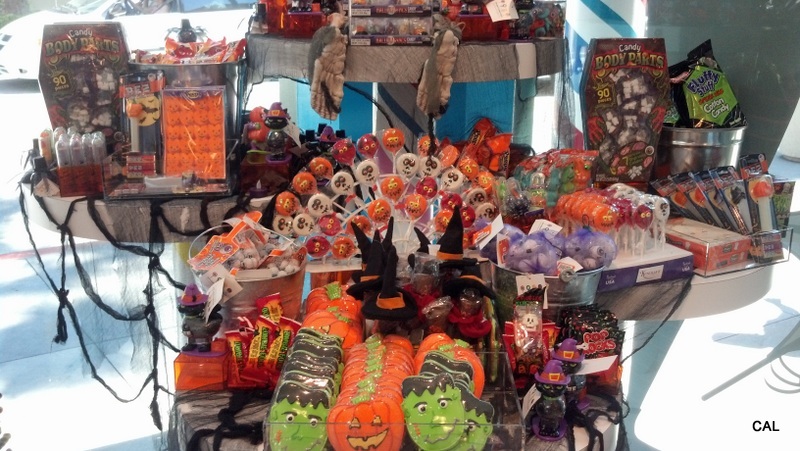 Don’t expect to leave with a spiffy Dylan’s branded container filled with any candy of your liking for less than $15.00. Somehow this didn’t bother me so much. The point of stores like this is to splurge and enjoy the environment, so go in with that mindset. All of this stuff is overpriced! I managed to leave with 4 chocolate candy bars and only $10.00 less in my bank account. 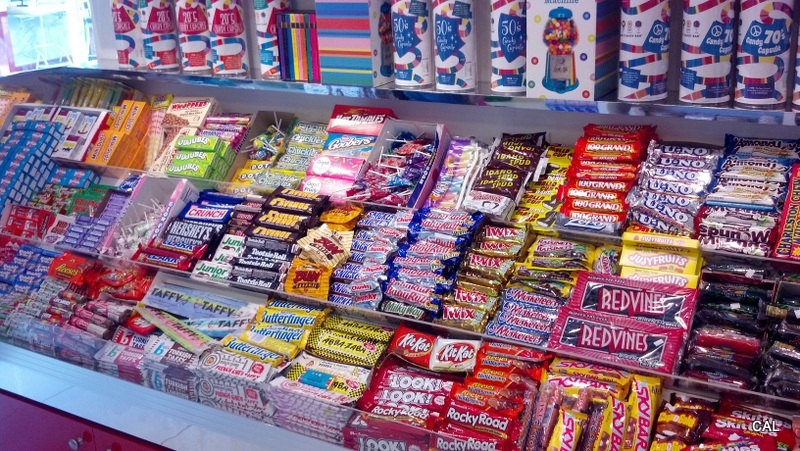 It’s funny how in stores like this you’d be willing to spend a bit more on candy, but would blow a gasket anywhere else at the thought of spending so much on sugar. The lady next to me at the register racked up $52.00! 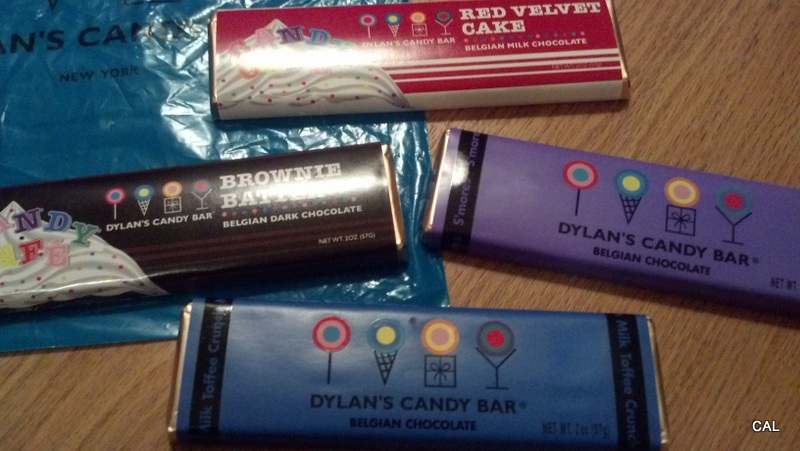 As of writing time, I have yet to try any of the candy bars (I know, I know) but I’m really looking forward to indulging in the 4 Belgian chocolate choices I walked out with: Red Velvet Cake, S’mores, Brownie Batter, and Milk Toffee Crunch.